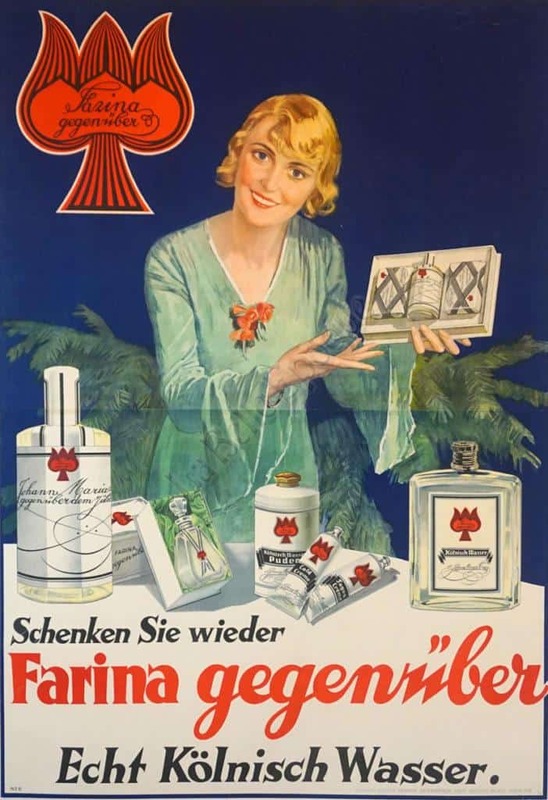 “John Maria Farina opposite the Jülichs place” (English for “Johann Maria Farina gegenüber dem Jülichs-Platz”) is the world’s oldest Eau de Cologne and perfume factory. It was founded at the beginning of the 18th century by John Maria Farina an Italian perfume maker who started his business in 1709. The company’s logo is a red tulip. Commonly used over a long period of time were also the French name ?Jean Marie Farina vis à vis de la place Juliers? as well as the short form ?Farina gegenüber?. This perfume factory is still run by the founder?s descendants who are the 8th generation of family members. The company has held Royal Warrants as purveyors of perfume to both the French and British Royal Family.